Leaders in dry goods and confectionery wholesaling and distribution business. We carry the national brands you need! National alternative source to conventional grocery wholesalers. 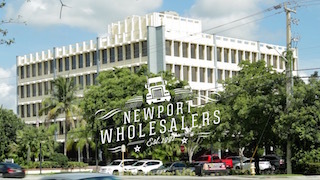 For over 25 years, Newport Wholesalers Incorporated is the leader in the grocery redistribution business. "If you see it in the grocery store and it's not a private label, you'll see it in our warehouse." Call us today and get the best prices on national name brand grocery store items. Newport Wholesalers has been providing a key national brand grocery resource to us for over twenty years. The wellness center is one of my favorite perks that Newport offers to each of its' employees. A boutique redistribution operation offering a one-time best price on national brand wholesale grocery products.